You have reached the maximum of 6 favourite hotels, please remove one favourite before adding a new one. The entire team at the Mercure Strasbourg Centre hotel wishes you a warm welcome to the European capital. We will be delighted to advise you on places to visit, nearby restaurants and all the amazing discoveries to be made in Strasbourg. 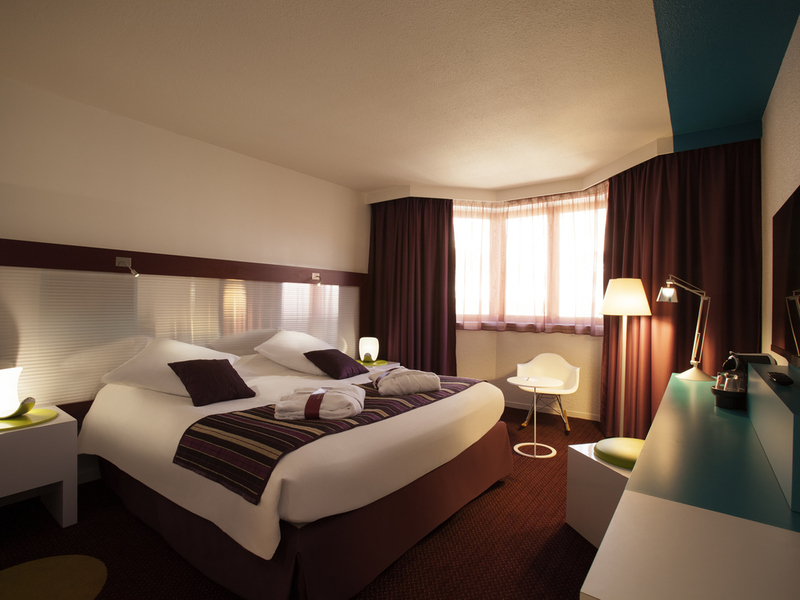 Located in the heart of Strasbourg, we welcome you both for business or pleasure. Ideally located on Grande Ile, you are steps from the tourist sites and shops such as Petite France, the Cathedral, and Winstubs. In February, enjoy the 7th edition of Strasbourg Mon Amour. The European capital charms lovers with poetry, culture and glamor. PLEASE NOTE: our parking will be closed from March 25-29, 2019. Close to the Petite France Quarter and the Notre Dame cathedral, make the most of the location of our hotel for relaxing in the picturesque and lively quarters of Strasbourg. Discover also the 'winstubs' and Alsatian gastronomy. Free access to KEEP COOL room next door, from 6 pm-11 pm, 7 days a week. يشارك هذا الفندق في برنامج Planet 21 ويعمل لصالح الضيافة المستدامة Positive Hospitality. All our rooms are spacious and recently renovated in a contemporary style and are available with double or twin beds. The pastel decor is restful and the surroundings comfortable and designed for relaxation. لا يوجد من يحمل الحقائب. ولا يوجد مصعد من المواقف. والسرير صغير والوسائد غير مريحه. بإمكانك إدخال حتى 6 فنادق في هذه القائمة. إذا لم يكن لديك حساب شخصي على موقع accorhotels.com، سجل الآن للاستمتاع بفوائد هذه الخدمة. أقل سعر متاح للسبعة أيام التالية قد تختلف الأسعار بحسب أنواع الغرف. وبحسب الدولة، قد لا تشمل تلك الأسعار الضرائب، و قد تشمل ضريبة القيمة المضافة فقط أو قد تشمل كافة الضرائب (ضريبة القيمة المضافة وضريبة المدينة). وعندما لا تشمل الأسعار كل الضرائب، فسيتم تحديد تلك الضرائب (ضريبة القيمة المضافة و/ أو ضريبة المدينة) في الخطوات التالية ضمن إجراءات الحجز. ولا يكون السعر مضموناً إلا عند الحجز. تتوافق تصنيقات الفنادق فئة 1 إلى 5 نجوم في فرنسا مع المعايير التي تحددها القوانين المحلية.